There is hardly a person in the world who does not know that Bulgaria is the homeland of the yogurt. For Bulgarians, consuming yogurt has been known to be beneficial for many centuries, but the unique qualities of the Bulgarian yogurt garnered a worldwide attention in the end of 19th and the beginning of the 20th century. The well-known Russian scientist Ilya Metchnikoff – one of the founders of modern immunology – linked the longevity of the Bulgarian people to the consumption of yoghurt. Metchnikoff, at that time a professor at the Pasteur Institute in Paris, produced the notion that the aging process results from the activity of putrefactive (proteolytic) microbes producing toxic substances in the bowels. Proteolytic bacteria such as clostridia, which are part of the normal gut flora, produce toxic substances including phenols, indols and ammonia from the digestion of proteins. According to Metchnikoff these compounds were responsible for what he called “intestinal auto-intoxication”, which caused the physical changes associated with old age. It was at that time known that milk fermented with lactic-acid bacteria inhibits the growth of proteolytic bacteria because of the low pH produced by the fermentation of lactose. Metchnikoff had also observed that certain rural populations in Europe, for example in Bulgaria and the Russian Steppes who lived largely on milk fermented by lactic-acid bacteria were exceptionally long lived. Based on these facts, Metchnikoff proposed that consumption of fermented milk would “seed” the intestine with harmless lactic-acid bacteria and decrease the intestinal pH and that this would suppress the growth of proteolytic bacteria. Metchnikoff even reported that the special kind of Lactobacilli in samples of Bulgarian yogurt was the only bacterium that had never damaged the human organism anyhow. Even though he made that discovery, Professor Metchnikoff was not aware who the real founder of that special bacillus was. The answer to his question dates back to 1905 when the Bulgarian Dr. Stamen Grigorov, discovered a special kind of Lactobacilli and called them Lactobacillus Bulgaricus. The B. lactis bulgaricus is one of a widely distributed group of lactic acid-producing organisms which do not proliferate in laboratory media. Scientists believe that these bacilli modify the intestinal flora, thus limiting auto-intoxication and its train of arteriosclerotic changes which lead to premature senility. Nowadays, Lactobacillus Bulgaricus is used to sour milk and make yogurt, it is given as a remedy, used in treatments, etc. 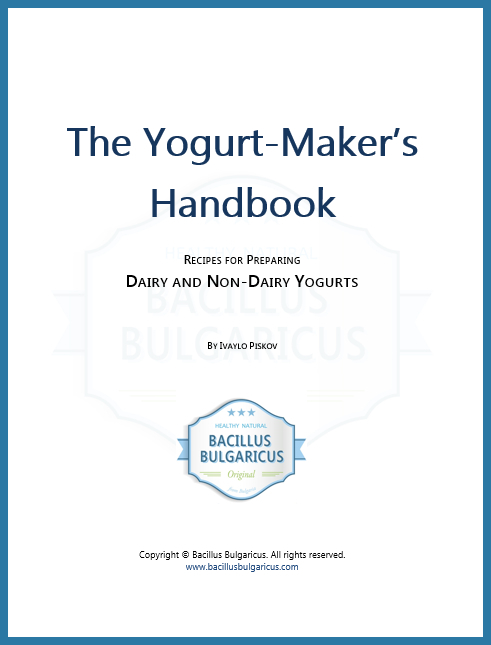 The administration of yogurt products made with Lactobacillus Bulgaricus is very beneficial and it is more and more establishing the method as the preferred option for improving nutrition. LB can also be taken in tablet form although the best way to benefit from its qualities is through yogurt consumption. This entry was posted in Lactobacillus Bulgaricus and tagged Bacillus Bulgaricus, Bulgarian yogurt, Lactobacillus Bulgaricus, Lactobacillus delbrueckii subsp. bulgaricus.